Hello, hello! Black Friday may be way past, but today is Cyber Monday and the festive discounts have not slowed down, not one bit. Now, we did have a Black Friday app and game deals article last week, which has a pretty nice selection of games in its own right, but when we opened the App Store and Play Store today, we couldn't contain ourselves, for we found 6 absolute gems of mobile gaming that have all received a juicy discount. There's also a couple of bonuses afterwards, but hey – no spoilers! Have a look-see and let us know if any of the titles caught your fancy afterwards. Happy gaming! Superbrothers: Sword & Sworcery is an adventure game, which was released for iOS, back in 2011. The game looks to be more than just a pass-time entertainer, as it looks to involve the player in a deep and moving story, presented with smooth animations, and a beautiful soundtrack. Needless to say, Superbrothers was received positively by gamers and critics alike and is a must-have title for any mobile gamer. If you haven't had the pleasure of owning it so far – its price is now slashed, and the game is more than worth a $1.5 - $2 price-tag. 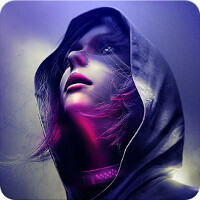 République is an episodical adventure, which is still fairly fresh – meaning, not all 5 of its episodes have even come out yet. It's an interesting take on mobile gameplay, as it actually acts as if the protagonist has called us on the phone, asking for help, and we are now using our mobile device to help her out, by telling her in which direction to go. The story is great, if you are into science fiction that depicts a grim, futuristic, brainwashed human society. You can grab the first episode for 50% off right now on Android; unfortunately, iOS gamers haven't been graced by the Discount Authorities, as far as this title goes. Still, we though we'd throw the link in, just in case you missed this title thus far. While on the topic of grim and futuristic – why not mention "Out There"? It's a sort of a spacecraft-management-survival-adventure, animated in a comic-book style, which looks to win gamers over with a challenging gameplay, dark story, lots of exploring, and 3 different types of endings. If thit sounds like your cup of tea, a $2 price-tag is a bargain. Of course, not everybody wants super-deep, super-engaging games all the time. Fear not, Deep Dungeons of Doom understands that. It is an action-RPG, which has a pretty simplified combat system – let us stress – simple to learn, but definitely not simple to master. The game made the jump from freemium to premium some time ago, and with the holiday discounts – you can have this endless slasher for $2. This is a 1989 classic (used to be called North & South), which combines action and strategy in some pretty uncanny ways. Some sequences of the game have been redone, since the old ones don't really get along with touch, and its graphics are entirely new, albeit the developer maintained some of the comical style, which graced the classic title. Its multiplayer is a blast and we would recommend it for those of you who are looking forward to some competitive sibling play during the holidays. A touching platformer, with a beautiful soundtrack, and some cheeky puzzles. That's all we can say about Thomas Was Alone without giving away too much. The game's "story" should be experienced in first person from the get-go, thus, we wish not to spoil it. If you are a sucker for platformers – don't think twice about getting this game. One of the top super hero movies for the last decade, naturally, got its own slew of video games for all platforms, looking to ride the ripples of the reel's success. Gameloft's "The Dark Knight Rises" is one of the better Batman titles to come out, and is currently adorned by a $1 price-tag in the App Store. Anyone who wanted to give this game a try, but was put off by its $7 cost can now do so, and we recommend it. Unfortunately, no discount for Android folks. Ever wanted to (re)play the very-first game to start off the Lara Croft saga? Well, no need to hunt down old discs, or classic game sites now - the good ol' Tomb Raider is available for iOS and has had its price slimmed down to just $1 for the holidays. If we have to be honest, though, we do recall Tomb Raider 1 to be a hard game and we wonder if one would be able to pass the later stages of the game, using only (the infamous) touch controls. Any challenge takers out there? Tomb Raider. They could release the next one. Steam had a sale for Far Cry two weeks ago I think where I got Far Cry 1, 2, 3, and 2 DLC for 3, all for $10. That's a good deal :P Total off topic. But the Tomb Raider would be the one I get for sure. Of the bunch I only have bought "Thomas was alone" as is one of the few trully created for mobile. I'll probably consider "North & South" for old times shake, and I should do it with "Sword & Sworcery" for sure, just don't have enough time for this one. Sword & Sworcery was the first game I downloaded after upgrading to Android from WP. Gimme Tomb Raider for Android! Out of the list. Tomb Raider is best. I remember when I was a kid, I'd try to place her against the wall in corner so the camera pans to show off her "assets" lol. I was such a dork. Pretty sure everyone did this. Them sweet pyramids, no?